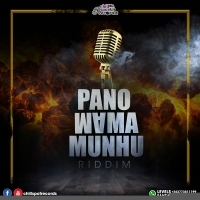 So, we have ChillSpot Records’ compilation album: Panorama munhu riddim. Am still listening to it so, won’t form an opinion just yet. It does carry a lot of promise, just based on the artists featured here. Let’s drop some tracks on here. Just as a disclaimer, I am not familiar to most of the artists on here’s work. There are a few notable names, that I am familiar with. That being said, as a music fan, I go in with an open mind. Uncle Epaton leads us into this compilation with the title track. As the title suggests, this is a fired up, energetic track. Uncle Epaton follows up with panomhanya munhu, which is a play on the words of the title track. As promised on the track title, it is a clean track. Poptain n Chiye bring the third track on the album. When the year starts, this is the sort of track to get you pumped up. Ryder Marcus pays tribute to legendary fans from Mbare. Shout out to all the Mbare Dance Hall fans. Enzo Ishall delivers the fifth track on the compilation. Those running their mouths, better place their actions behind them. Thats the challenge that Enzo Ishall puts on the table. Master H brings the sixth track on the album. Here’s to “Moto wabvira”, “Fire burning”. Mr Kuwadzana, as he refers to himself in one of the opening lines. Delivers a semi-conscious track. Ndiri kuda is a declaration of desire. Ndiri Kuda, Ndiri Kuda, Haikona Kundinyima. There are various conotations that one can infer from the hook. This one delivers a great tale of a victim of pickpocketing. The vibe is pretty dope too. Whoever this kid is, mama is not going to be happy when he turns up without mupunga. Ma1 pa Harare. Pretty raw, this one is. Bazooker apparently is falling over the number of women he has. Some are pregnant, some are being ignored and so on! Kungo jara kunge mbeu, kana vabuda tobva ta fusha. The track as a feel good, fun feel to it. Great play on words through out. Man is clearly doing much better than you and I, with the ladies. Turns out we have two versions of the track. Proper hood “Ghetto youths” story on this one. Ras Pompy found himself lost in the wrong ends. Mukoma musandigaire, ndukutsaga road ndarasika. You cant just walk through people’s yards, thats a recipe for disaster in the ghetto. Zanta was a pleasant surprise on this one. Riddim can become quite monotonic, well at least to the unseasoned ear. Isa carries sexual innuendos. The vocals were brilliantly delivered, with a solid backing. There is a playful turn a bit later in the track, when it refers to financial transaction, being what was being referred to. Good on her. The average African doesn’t mess with the devil. The title of the song got me a bit intrigued. The premise is a call between the artist and the devil. Am not sure whether the spelling of “Devil” as “Devel” is a play on words or not. For the sake of clarity, he mentions that he knows the bad ways of the devil “Kana usipo zvinhu zvinofaya faya.” He touches on the Ghetto Youths’ desire for financial emancipation being a motivation for seeking out the devil’s aid. I loved the speed variation on this one. Ras Caleb adzoka zvakare. The hook is the best part of the track, as you would expect. The verses sit well around it. This is certainly something I would vibe to. We have two versions of this track. The end of bar melodies at the start drew me straight into this one. The track is about rolling in a Hiace. Ronnie the Catalist has had enough of people making fun of his car. Nhasi Ndine Hiace, Ndine Hiace. I cant figure out how to describe the vocal reduction in volume that he does on one part of the hook. Hatitambe Navo. There are one or two dope Shona proverbs of note, won’t spoil these for you. Mamero, hatitambe navo. Nutty O has a a command about him. One of those artists that seems to have that belief that he deserves a spot on your playlist. That’s with good reason. Shout out to this Mbare Youth! One drop, two drop, boom shelele. I have listened to Doba Don before, so I wasn’t waiting to be impressed. The intro sets the track apart, as most of the tracks on this compilation go straight into the beat. Great rhyme scheme, and the usual Doba Don delivery. Shinsoman is not a new addition to my playlist. I am familiar with the artist. The track is hard hitting, with a commanding, almost combatant delivery. This is one of the first songs I listened to as soon as I got the album. Such a massive addition to an already stellar cast of tracks and artists. Buffalo Souljah never disappoints. This is a hard worker’s anthem. Vafana wema zheti. Hatimirire pay. Shout out to Buffalo Souljah! So, this one came. It comes with sexual innuendos. Ricky Fire says he is done clashing “battling” with artists, you know those things rappers and dance hall artists do to flex their skills. Ricky Fire proposes that if he is to clash, it will only be with the female artists, in a sexual nature of course. I haven’t had enough time to consider the ones below.